A beautifully traditional Victorian corner basin, hand crafted by Silverdale Bathrooms from the finest china clay. 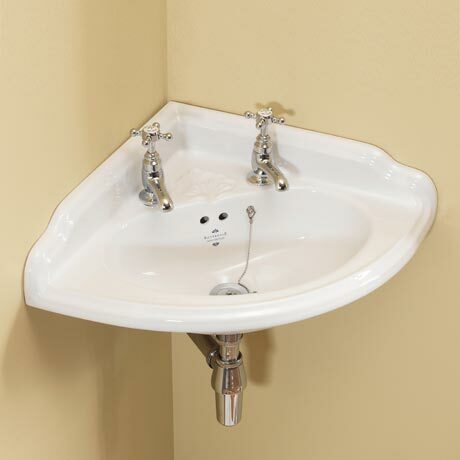 This stylish corner basin is ideal for en-suites and cloakrooms where space is at a premium. Please note - Taps & wastes not included.